Cats Of The World: COTW is on TV! Yipee! 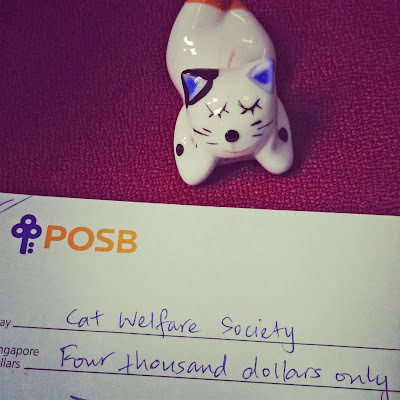 We are happy to raise S$4,000 this year for Cat Welfare Society :) this is made possible with all the kind support from the sponsors to photographers and loyal fans of COTW and legion of cat lovers. The money will be put to good use on the sterilisation and welfare of our community cats. 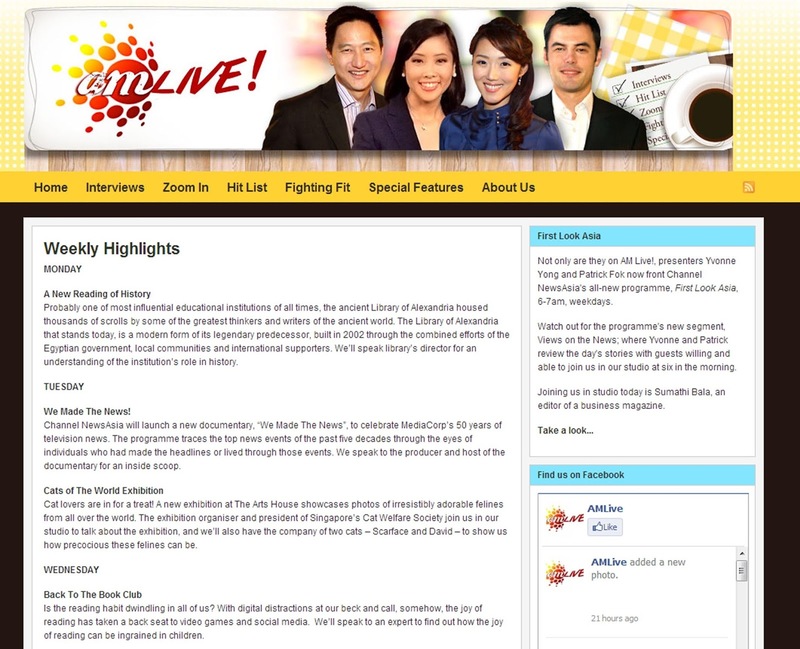 We are also thrilled to be interviewed alongside Veron Lau of Cat Welfare Society on AM LIVE show on Channel News Asia (20 August 2013) and not forgetting our kitty asmbassadors - Scarface and David from Lingcat Feline Services, who are so well behaved and sweet. We can't believe these 2 were once tom cats who were terrorising other kitties. 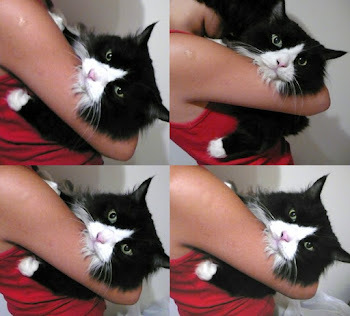 Only after sterilisation, then they transformed to calm kitties who are happy to stay indoors with their owner Rebecca. Our message on TV is - Keep your cats indoors and please sterilise them! The worse kind of irresponsible pet owners are those who abandon pets. 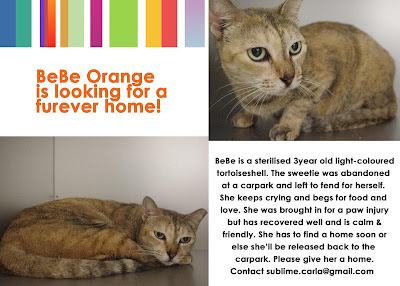 A victim of pet abandonment is BeBe Orange who was cruely dumped at the multi-storey carpark along with 2 other cats. One of them died and the other disappeared. She was left to fend for herself and was crying in stress, and begging passerbys for food. BeBe slept at the corridor if it wasn't raining and was happy to sit on her feeders' lap. One day she was limping due to a paw injury and her feeders called us to help send her to the vet. After medication she was fine and housed in a cattery for 2 months before we were lucky to find a fosterer for her from our Facebook page (thanks Janelle!). 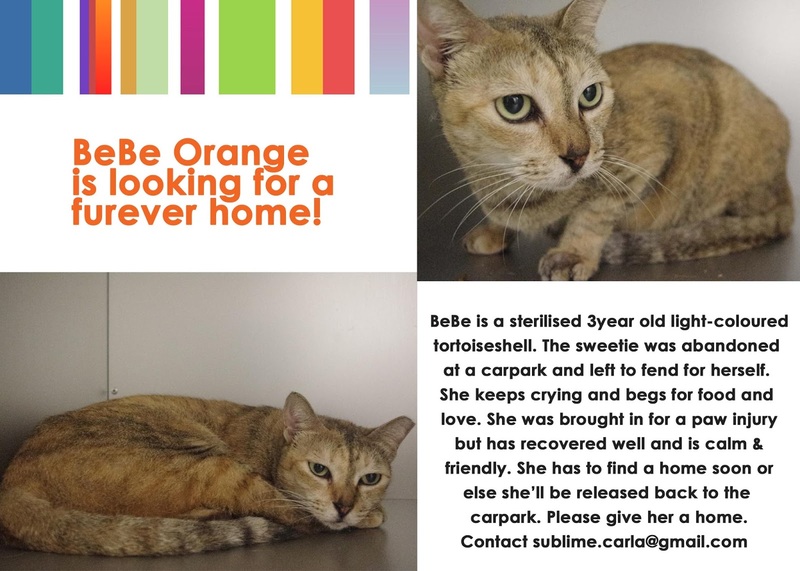 Otherwise we will have to release her back to the carpark due to limited funds. So after 4 months+ and 3 adoption drives, Bebe finally found her furever home in Rini and her wonderful family! 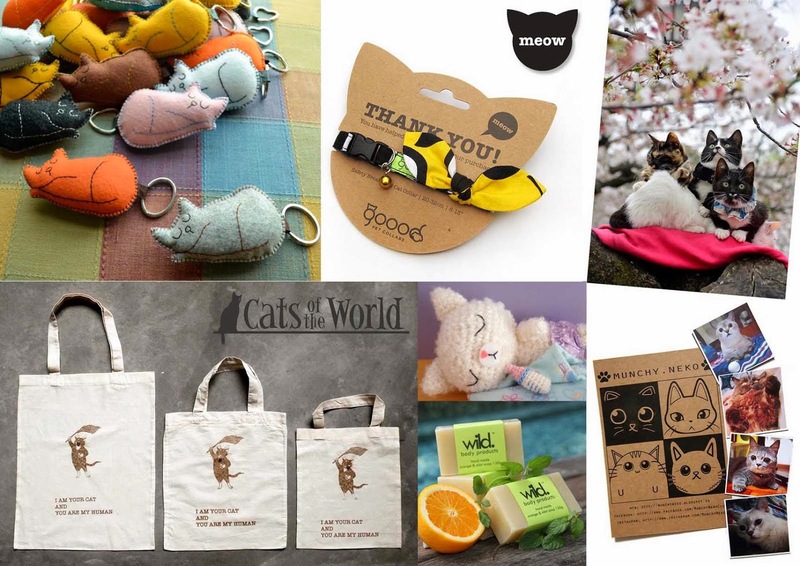 Every kitty deserves a happy ending. Exhibited instagram entries for 2013!